Shakespeare’s words come alive again in a special reading of "Richard II" presented on January 17 at The Modern Theatre for the 12th Annual Shakespeare and the Law Series. Co-sponsored by Commonwealth Shakespeare Company, law firm McCarter & English LLP, the Boston Lawyer’s Chapter of the Federalist Society, and Suffolk University, the reading boasts an all-star cast from Boston’s legal community, including former federal judge Nancy Gertner as Richard II. A panel discussion of the legal and political consequences of when a king or a president goes too far follows the reading. The participants will discuss the uses and abuses of executive power by Presidents Obama and George H. W. Bush. 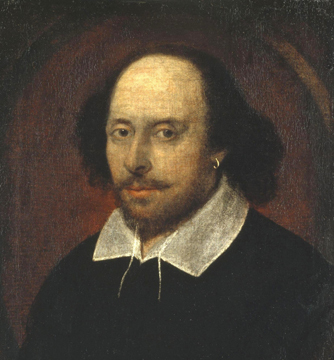 Hosted and moderated by C. Boyden Gray, former White House Counsel to President George H. W. Bush and Ambassador to the European Union, the reading will be directed by Steven Maler, Artistic Director of Commonwealth Shakespeare Company. Showtime is 5:30 PM and the event is free and open to the public. To reserve a seat in advance, contact Dottie Moore at 617 449 6617 . "Richard II," written around 1595, is the first play in Shakespeare's second "history tetralogy," a series of four plays chronicling the rise of the house of Lancaster to the British throne. (Its sequel plays are "Henry IV, Parts 1 & 2," and "Henry V.") The play is written entirely in verse and contains what are considered to be some of the most beautiful passages in all of Shakespeare’s works. Set in the year 1398, it chronicles Henry Bolinbroke’s (later Henry IV) use of power and popular support to depose and ultimately murder Richard II, England’s last king of the house of Plantagenet. Richard’s undoing is caused by the exploitation of his kingly powers to subvert laws accepted and supported by the people -- the right to be secure in their lands, the laws of inheritance, laws against excessive taxation. The play’s themes provide a perfect backdrop to a discussion of the political and legal consequences of a President's attempt to impose his will by exceeding his constitutional powers and subverting the law. "Richard II" provides great fodder for a discussion of controversial moves by both the current and prior administrations. Commonwealth Shakespeare Company, best known for its annual free performances on Boston Common, is a non-profit organization founded in 1996 dedicated to bringing the works of William Shakespeare in vital and contemporary productions to the people of Boston and to educating Boston’s youth not only about Shakespeare but about their own potential for creativity. McCarter & English, LLP, established more than 160 years ago, represents Fortune 500 and mid-cap companies in their national, regional and local litigation and on important transactions. Its 400 attorneys are based in offices in Boston, Hartford, New York, Newark, Philadelphia, Stamford and Wilmington. The Federalist Society is an academic oriented organization comprised of law students, attorneys, professors and judges committed to creating awareness and discussion of timely and timeless issues affecting the law and society.